Talk about brand loyalty! On Sunday, March 15, Bernard and Janice Caffary boarded the Carnival Sensation in Port Canaveral, Fla., for a four-day cruise to the Bahamas – the 100th time the couple has sailed on the 2,052-passenger “Fun Ship.” The Caffarys are the first guests in the company’s 43-year history to sail on a single Carnival ship 100 times. 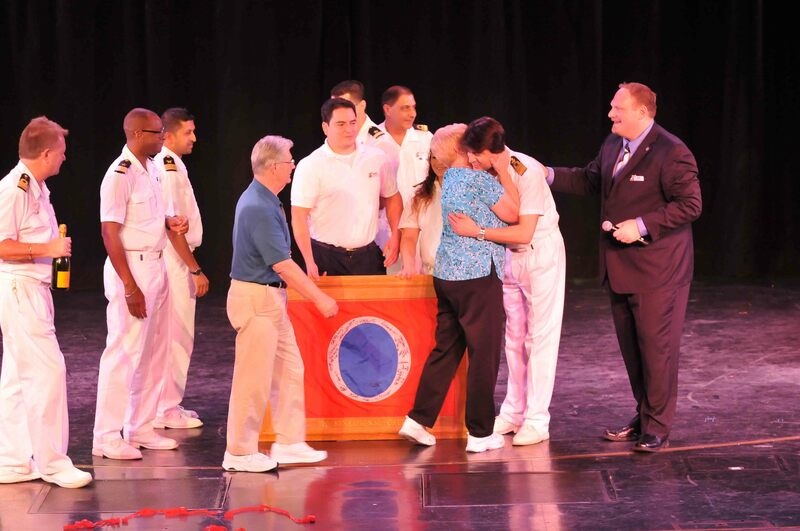 The couple began sailing aboard Carnival Sensation in 2002 with the vast majority of voyages departing from Port Canaveral where the ship has been based since 2006. 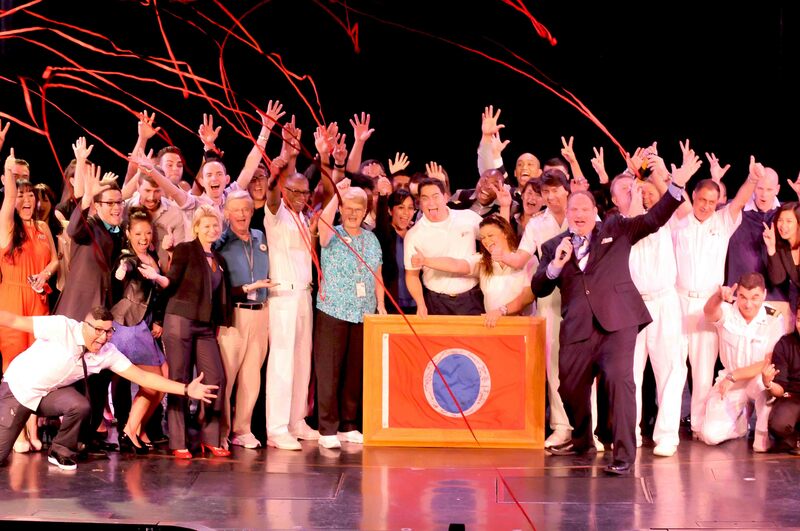 Sunday’s Carnival Sensation cruise was the Caffarys’ 142nd voyage with Carnival overall. Carnival Sensation and the Canaveral Port Authority truly rolled out the red carpet for the Caffarys. The VIP treatment began the minute the Caffarys arrived at the cruise terminal with Carnival Sensation and port personnel on hand to greet the couple with a custom-made banner. 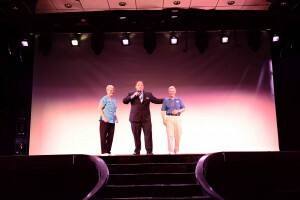 During the cruise, a special video honoring the couple was played during the past guest party and a photo opp with 100 Carnival Sensation team members – signifying the Caffarys 100th cruise – was also held. In addition to various in-cabin gifts, shipboard acknowledgements and dinner with the captain, the Caffarys received a signed framed Carnival flag presented by the ship’s management team, along with a personal letter from Carnival President Christine Duffy congratulating them on this historic milestone. 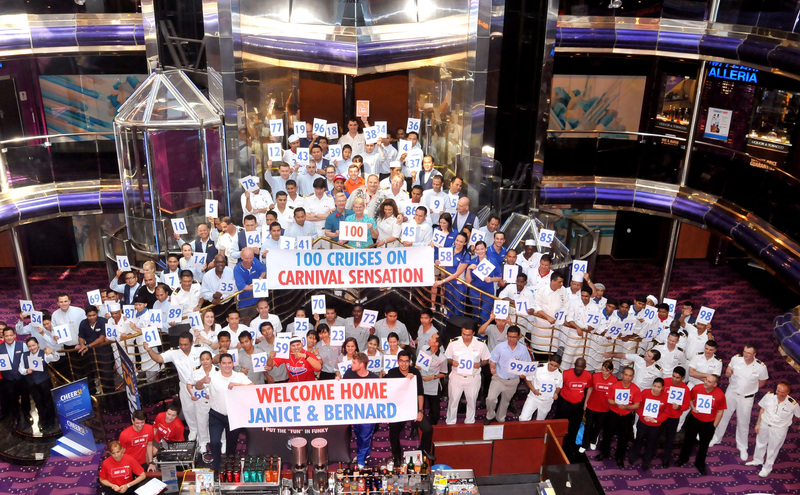 Carnival Sensation operates three- and four-day Bahamas cruises from Port Canaveral, carrying approximately 225,000 passengers a year from the Space Coast.